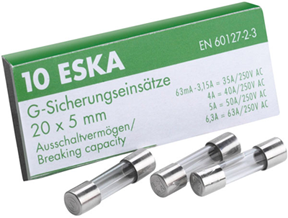 For more than 50 years, Eska has been producing fuses in Kassel, Germany. Eska takes pride in offering a device assembly for user-specific demands, in addition to Eska’s quality assurance program which offers approvals such as VDE, Semko and UL in their products. ESKA offers an assortment of SMD-fuses, sub-miniature-fuses, resettable fuses (PTC-fuses), temperature-fuses and NTC’s. 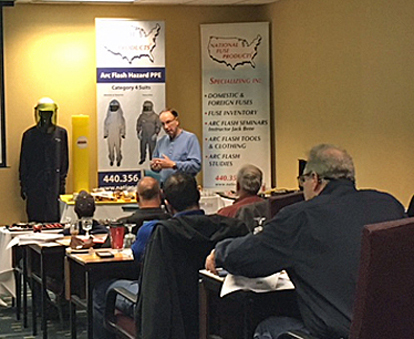 As one of the nation’s premier specialty fuse distributors, National Fuse’s goal is to provide you access to expert technical support and an extensive inventory of Eska fuses backed by our guarantee of selling only new factory warranty fuses. If the fuse or product you are looking for is not shown online – just give us a call at 800-328-0496 or email us at sales@nationalfuse.com and our customer service team will be glad to help you. We normally are able to get any part or product you are looking for at a very competitive price.